The early years of a child’s development are crucial, and at Silverline, we foster a holistic approach to each child’s individual learning during these years. Our Early Years department consists of our Kindergarten (Nursery and Pre-Reception combined) and Reception classes. Our experienced and enthusiastic staff, set about laying sure foundations for each child, nurturing the love of learning to ensure children are happy, confident and secure. We aim to guide our children to become self-motivated, confident learners. It is our experience that our new children settle quickly, aided and encouraged by exciting learning opportunities designed to be challenging but always lots of fun. Through exploration and discovery which is free from pressure our professional staff ably encourage the children to spend time learning through observing, experimenting and exploring. 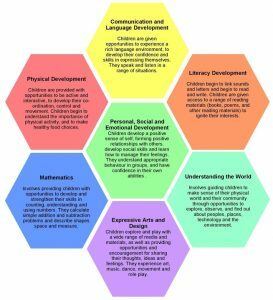 The Early Years Foundation Stage (EYFS) is the framework followed by all early years settings following the British Curriculum. This is a child centered curriculum, which places play and exploration at the forefront of the child’s learning journey. Our Kindergarten and Reception classrooms are organised to allow children to explore and learn securely and safely. There are specific areas where the children can be active, be quiet, creative etc. Through our enriched learning environment, we aim to promote learning across all 7 areas of the EYFS framework. All of our staff are passionate about promoting outdoor learning, and students have access to both the inside and outside areas across the school day. Being outdoors offers opportunities for doing things in different ways and in different scales than when indoors. The children can explore, use their senses and be physically active and exuberant. All areas of the curriculum can be explored outside. Play and exploration is fundamental within our Early Years classes. This means children are able to choose activities where they can engage with other children or adults or, sometimes, play alone. During these activities, the children will learn by first-hand experiences; by actively ‘doing’ as well as through scaffolding and modeling by adults. We will provide them with sufficient space, both indoors and outdoors, time and choice with a range of activities. There will be a good variety of planned and prepared activities by the teachers, as well as allowing time for the children to initiate their own learning. Activities will be planned through discussion with the children around their current interests, as well as taking into account their learning styles and stages of development. Our environment will enable children to try things out and make sense of relationships, allowing all children to fulfil their potential. As the children progress through Reception, the academic learning activities increase. Each child continues to be supported and challenged through a lively and motivating curriculum, which caters for each child’s individual needs and abilities. In Reception, we have structured literacy and numeracy sessions every morning. Alongside the 7 areas of learning and development outlined in the EYFS curriculum, we also adhere to the Cyprus Ministry of Education guidelines, and provide all students with a period of Greek teaching each day. During this period, our experienced Greek teaching staff incorporate singing, stories and a range of creative activities to inspire our students and promote a love of language!